A recently orphaned 12-year-old boy (Garrett Wareing) is sent to a boarding school, where he struggles to join an elite group of world-class singers. No one expects this rebellious loner to excel, least of all the school’s relentlessly tough conductor (Dustin Hoffman), who is forced into a battle of wills to bring out the boy’s extraordinary musical gift. 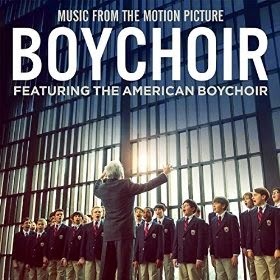 Will you buy the movie soundtrack of Boychoir? When & where can the soundtrack be purchased in Sth Aust. ?